Today’s adventure was a visit to the adorable little Sheldon Country Farm. The Old Rectory farm is an old dairy farm that dates back to the 17th century, and is now open to the public as a wonderful afternoon out. We met a variety of lovely animals on our wander around the farm, including chickens, cows, guinea pigs, rabbits, donkeys, pigs, turkeys, geese, sheep, and ponies. All the animals are very friendly, and there are opportunities to get up close and pet the cattle, and donkeys when they come over to the fences. We met some very lovely cows who loved a good scratch behind the ears! Did you know the Light Sussex Chicken enjoy a good dust bath? It helps them to maintain their beautiful appearance, and keep the mites away from their skin. You can often see these guys digging holes in the dirt, and having a good wiggle in it!! Surrounding the farm is Sheldon Country Park, complete with a playpark, as well as beautiful areas of grasslands, wetlands, and woodlands for you to ramble through and discover… but for us the weather decided to turn dreary and we were forced to run to the car before getting soaked!! Sheldon Country Farm is free of charge to visit, and relies on donations. Scattered around the farm are permanent donation buckets, that are well-deserving of a few of your pennies and pounds! 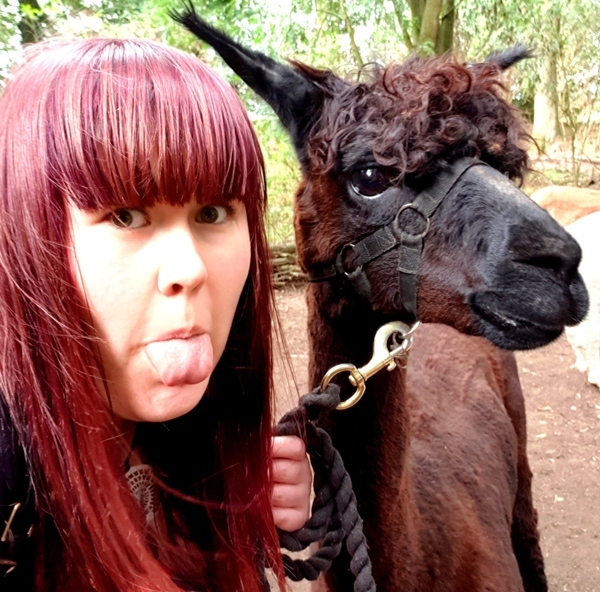 If you’re in the Birmingham area, Sheldon Country Farm makes for a perfect countryside escape for a couple of hours on a sunny afternoon… a highly recommend adventure for children and adults alike!